Many times I am asked: “What are the characteristics of a good, flexible, modern Online Booking Tool (OBT) for travel?” Some of the existing ones carry a lot of baggage, which makes them less flexible. They are and in constant competition with rapidly changing consumer applications. But those ‘legacy’ OBTs provide stability, even though they may not look nice. 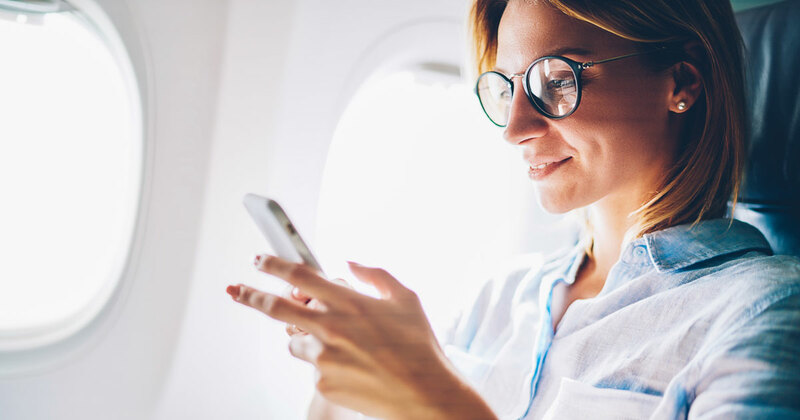 Manufacturers try to facelift or re-develop them, but I ask the question: Does a business travel online booking tool really need to be fancy and compete with all the consumer apps out there? Obviously, today there is a lot of talking about artificial intelligence, virtual reality, bots and blockchain, so one may think that traditional OBTs, even mobile apps, are a thing of the past. Constantly I am hearing complaints that business travel tools are way behind consumer tools – but are they really? Or is it just the look and feel – the appearance – which is old fashioned? I will not argue that business travel apps are boring and their entertainment factor is close to zero. But I will focus on what the business traveler needs: Should a corporate booking tool be exciting or should it be simple and straight to the point, with as little interaction from the user as possible? (c) influencing factors from the environment. What I mean by meet travelers needs (a) is that obviously the system should not offer me an airline which I don’t want to fly – might be that I try to maximize frequent traveler miles on one specific alliance, might also be that I don’t like the airline or their configuration (e.g. seats facing backwards) or its amenities or ancillaries. If I cannot get to my final destination with a direct flight, I don’t need every possible combination of feeder flights to the hub to fill up my results. Just give me one option but once I narrowed my results to one or two airlines, let me change the feeder flight without having to start all over again. I may also decide that a longer overnight flight suits me better than the shorter one, so I can get some sleep. The companies’ requirements (b) might be multifold: I strongly believe that business travel should be mandated. I don’t want the road warriors where you don’t know what they do and when – and this is simply from a risk management perspective. The company has invested a lot in their workforce and has an obligation to provide for employees’ safety. Travel risk management should have an influence, and one of our clients who decided to use a build-to-order booking tool, for instance, has a clear mandate that only a restricted number of employees of the same unit can be on the same transportation vehicle. But that’s not all, travel patterns may have to be mixed up from time to time just for corporate espionage reasons. The trips should always be for the benefit of the company, so the employee should be well rested when arriving to a meeting – otherwise a video conference would do a better job. This is another individual component: some employees can sleep perfectly in the coach overnight, while they prefer business class on a day flight to use the time to work. Others may need business class to get some rest, while they can easily deal with limited space on a day flight, when they only watch a movie because they cannot work in the air. Another desire of the company should be that no employee wastes hours on extensively searching for their trip. It’s not a family vacation, so choosing a business trip should be like taking a bus. Many times business trips are booked and then changed and changed again, along with associated rebooking fees, before they become an unused ticket. The company may want to add intelligence from previous trips to understand the cost of changes and better manage such risk of added costs due to changes. Obviously, cost is an aspect the company cares about in general, but it doesn’t mean the cheapest option is the best. The company may have procurement goals to meet (number of flights with a certain airline or stays with a hotel chain), as well as it may have an interest to better handle the total trip cost – sometimes a hotel where you can walk to your destination instead of renting a car might be the better option, but sometimes an Uber could do the job and you don’t have to stay at the expensive hotel in the center. Hence, there are numerous aspects that may go into an offering which the company prefers or mandates. Most importantly, the company should be able to collect all the data, so that it can learn and improve their offering for the future. Also the price for the tool itself is obviously an aspect, but not the only one. I have published a Travel Savings Calculator for companies who want to see what they can save. Finally, the tools could also include influencing factors from the environment (c). I still remember when I was located in Europe and had a meeting in “New York”, which was actually in New Jersey, 20 minutes from Newark. Back then the travel agent sent me to JFK airport and I had a three-hour cab ride to Manhattan and back at rush hour. How irritating after an eight-hour flight along with jet lag. Other factors may include weather information, likely flight disruptions, safety, traffic information, strikes, etc. They have to be taken into account at the time of booking or thereafter. No company can afford stranded employees or employees who come too late to their obligation. I believe the problem today is that all booking tools provide a one size fits all approach. The assumption is what is good for most travelers and/or most companies must be good for me as a traveler or my company as well. But this is not the case. We are not all the same companies and not all the same travelers. Even Amazon hasn’t figured that out: if I just bought a pair of children’s’ soccer cleats, do I really need more? However, they will offer me additional pairs for days to come – probably even just prompting me to return the ones I already bought and get a different pair – cannibalizing their own business. Come back to me when the kids grow out of their current size and offer me new ones then. Same with business trips: offer me what I need at this time – use all the intelligence available including the calendar, realize if I’m stuck in a meeting and won’t make it to my flight due to traffic conditions and long lines at the security checkpoint and rebook my flight and/or hotel. These are just some of the things I’d expect from my business travel tool. I couldn’t care less if it is entertaining – give me what I need in the least amount of time and just try to do the right thing with the knowledge you have, so that I can develop some trust that whatever is booked is most likely the right thing for me and my company. It won’t be the 100% solution, but 80% and no time wasted is good enough for me. It is a crazy world out there and we have a lot to do. Decisions such as travel should be made (or at least broken down) by a tool rather than each employee challenging the job of a travel manager. However, a feedback loop should be integrated in case the tool or the travel manager has overlooked an aspect. And in case of a valid concern, the tool should be capable of adopting those additional needs. If the company controls what is booked, based on their and the traveler’s interest, and collects all the data, the company is in the driver’s seat to tell the supplier what they need. With the latest distribution capabilities (some current restrictions mentioned here) the industry should be able to react to certain wishes and requests triggered by usage. Once the company can communicate to the employees that based on various aspects the company will determine the ‘best’ option based on the traveler’s interest, company interest and environmental impact, traveler satisfaction should come by itself. Happy traveler, happy travel manager.